Job Description Duties. Possesses detailed and functional knowledge of the Marine Corps and joint/combined Planning Process and Marine Corps and joint doctrine related to logistics. Conducts tactical and operational planning at the conceptual, functional, and detailed levels for service and functional component organizations and joint headquarters organizations in the area of emphasis. Provides focused analysis of logistics and the integration of logistics with all other warfighting functions to identify strengths and weaknesses as they occur during an event, model, or simulation and during preparation for the same. 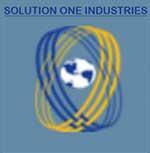 Analyzes problem areas and postulates feasible solutions. Provides analysis during events and attends conferences and meetings at the resident site and other locations off site. Creates and edits documents, analyzes problem areas, and suggests feasible solutions. Participates in, and conducts reviews and structured walk-throughs of events, operation orders and plans, and information gathering requirements. On occasion, is expected to prepare lesson plans and seminars, and provides instruction to Field Grade and General Officers. Reviews, writes, and provides comments on Marine Corps and joint doctrine documents. Performs research of concepts and plans and conducts analysis of factual data and prepares reports, briefs, and documents to support event scenario development and higher and adjacent headquarters functions. Assists in reviewing classified material and recommends a lesser classification for use in events, models, simulations, demonstrations, reports, and briefings. Reviews, revises, writes, and provides comments on Marine Corps and joint doctrine documents, best practices, and TTP not covered by doctrine (i.e., Marine Corps Interim Publication, MSTP Pamphlet). Civilian Education. Bachelor's degree is required; major in operations research, management, military science, or equivalent area is desired. Military Education. Minimum three years of experience in military training and education. Attendance at Intermediate Level School, such as Marine Corps CSC, or completion of equivalent nonresident course required. Attendance at SAW or NWC is preferred. Military Operational Experience. Minimum eight years of operational experience in deployment and employment of ground combat, aviation, supporting arms, and combat service support units and related equipment. Minimum three years of demonstrated knowledge of military doctrine, tactics, and command relationships at the operational command level as measured by actual operational force employment experience. Direct participation in real world operations is desired. Proof of Security Clearance. This position requires a completed Personnel Security Investigation that will qualify the incumbent to be eligible for access to at least the TS-SCI level, and the individual must be read-in for NATO level access.